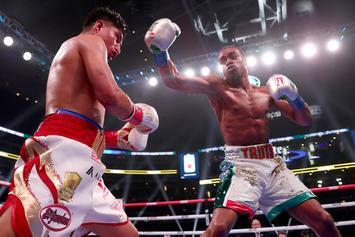 Mikey Garcia's jump up two weight classes wasn't as fortuitous as he would have liked. 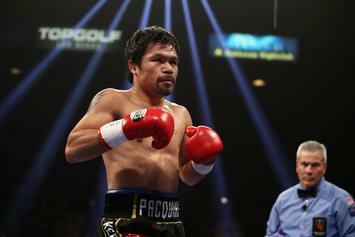 Pacquiao's home hit after Broner brawl. 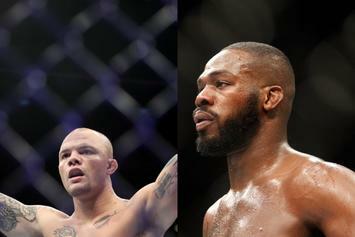 Dana White isn't wasting any time in showcasing the UFC's new-look Light Heavyweight Division. 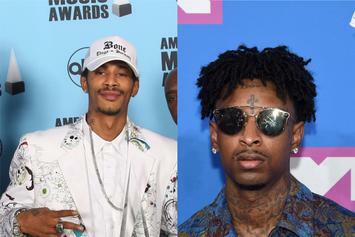 Layzie Bone Challenges 21 Savage To Some Fisticuffs: "Where Is Your Babysitter?" Layzie Bone demands a public apology from 21 Savage for his brash commentary. 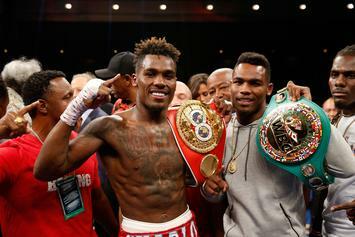 Jermall & Jermell Charlo are identical twins both with World Title fights this evening. The WWE will honor their contract with Saudi Arabia's "General Sports Authority." 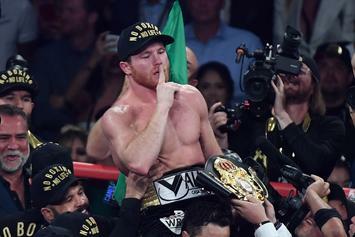 Canelo secures the bag following his impressive decision victory over Gennady Golovkin. 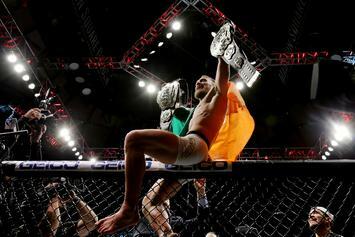 Conor McGregor's Manager Shows Respect For Khabib, Toys With "Mayweather 2"
Conor McGregor x Khabib Nurmagomedov could break all kinds of UFC box office records. 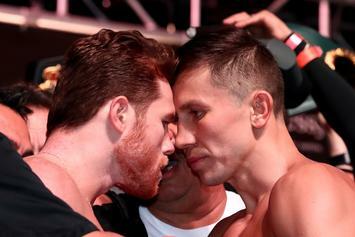 Gennady Golovkin says he came out of the weigh-in with a sense that Canelo is trembling in fear. 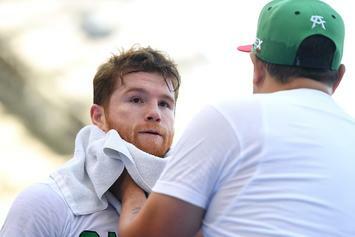 Canelo Alvarez stirs the pot ahead of his rematch with Gennady "GGG" Golovkin on Saturday. 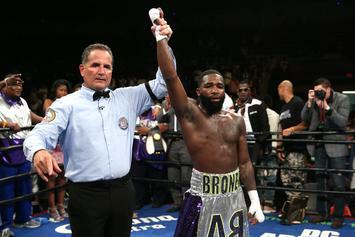 Adrien Broner has a unique set of standards. Ronda Rousey has her name lifted to the rafters. 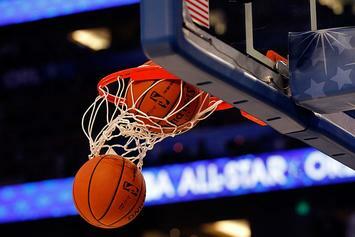 NBA could be adding a new wrinkle to the League Pass package. Damian Lillard's Sister Storms Court After Game-Winner: "That's My Brother"
50 Cent Shares Savage Late-Night Text Messages: "Too Early For This Bullsh*t"